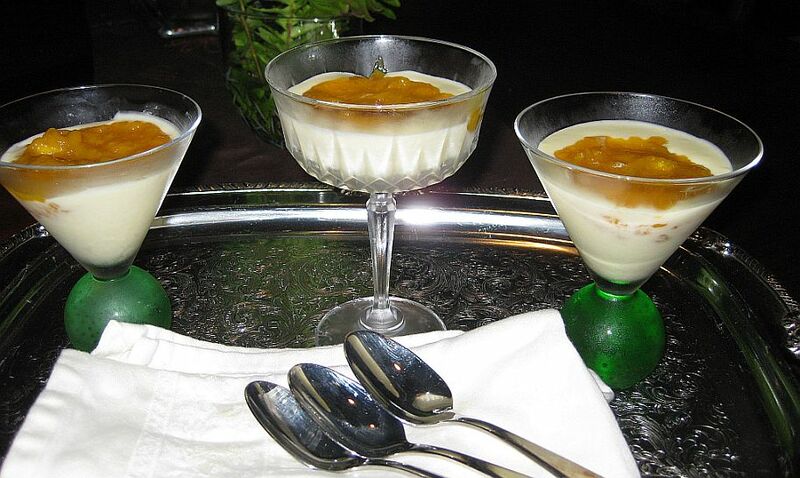 Verrine means glass casing. 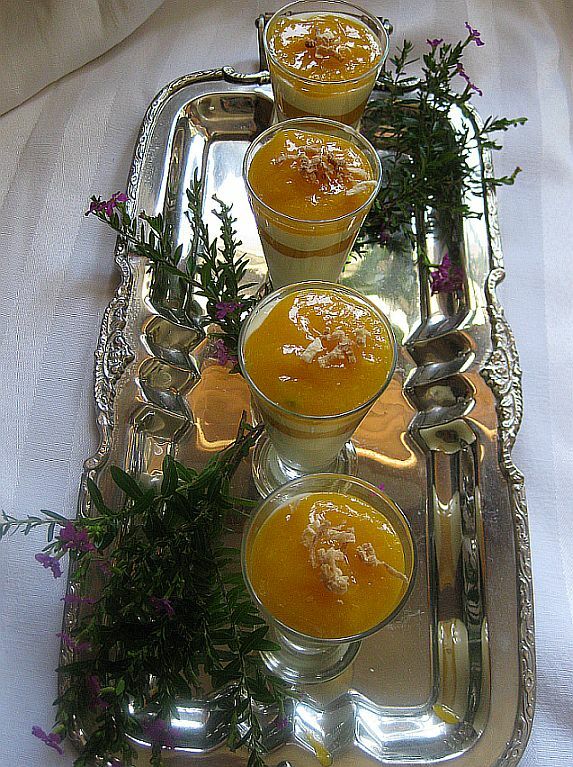 Tropical Mango and coconut pastry cream in Verrines simply means that the dessert is served in a small glass. Hoa bought a case of Mangoes and we just can not eat them fast enough. Some of them are so ripe that they are becoming mushy. I don't want to throw them away because they are so sweet, and so fragrant so I decided to use them in my dessert. 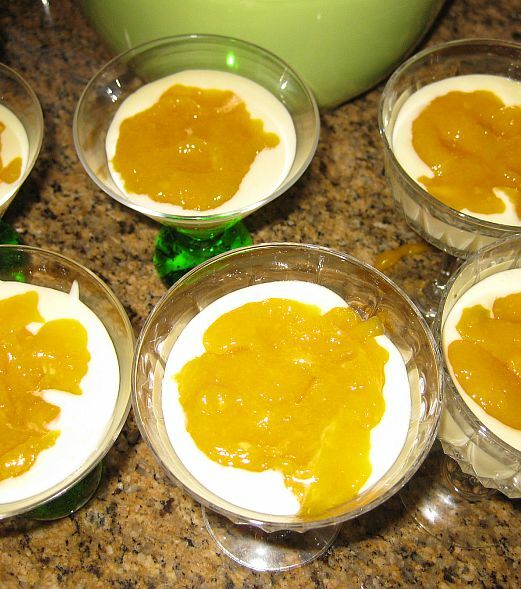 I wanted to create something a bit exotic by combining mango and coconut to get a light dessert that you can sip on hot summer day. Here I am serving the dessert in a cocktail glass but the portion was a bit much for me but it was a perfect size to serve after a meal. 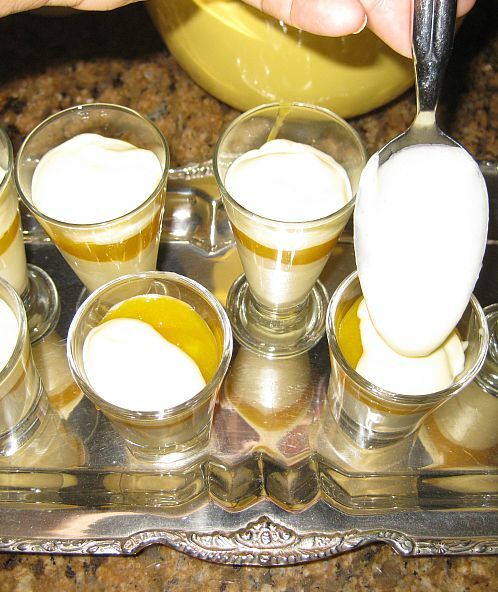 Here is the second presentation of the dessert by using shot glass so the portion is very small, which is perfect for me! This is actually a teaser size! 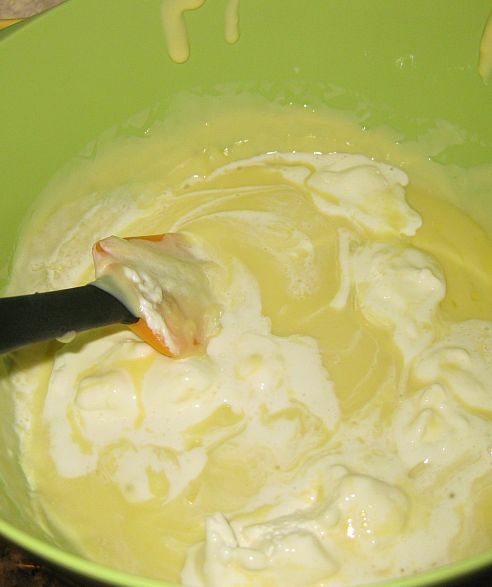 Adding the coconut to the pastry cream gave it an exotic taste. 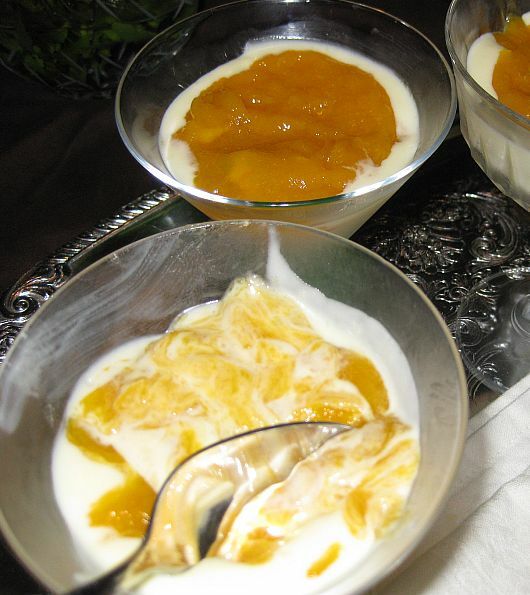 Gelatin is added in the pureed mango and gave it a different texture. The mixture of coconut pastry cream and mango is so good. I really enjoy the taste of this dessert. I can tell you that after finishing my shot glass I still wanted more...the portion was a bit too small. 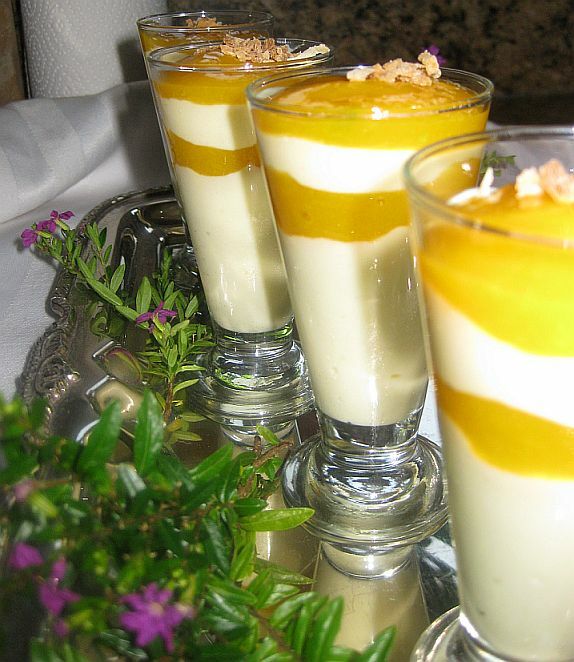 Close look the tropical mango & coconut pastry cream in verrines. 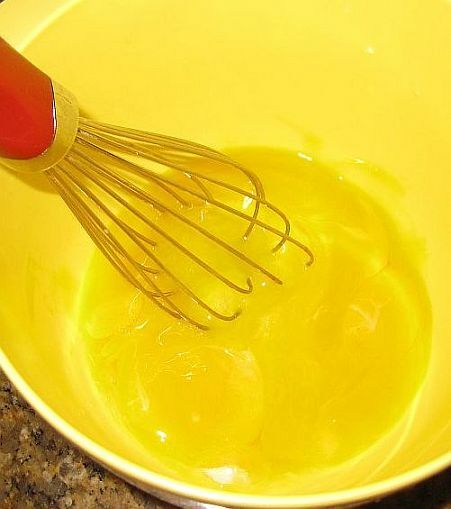 Whisk 6 tablespoons of sugar and the egg yolks together in a large bowl. 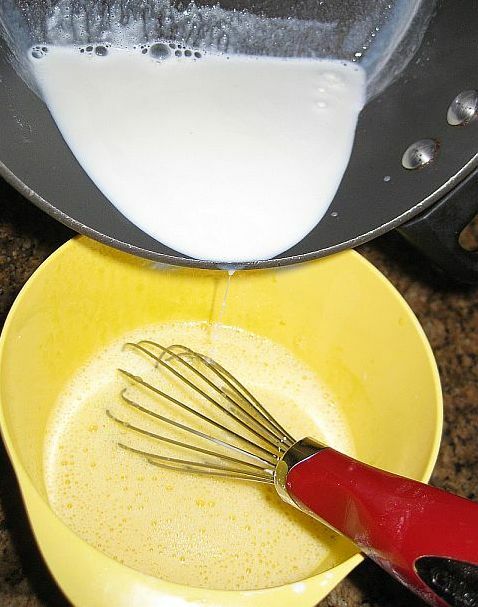 Whisk 1/2 cup milk and cornstarch together in a small bowl then add to the eggs and whisk to combine. 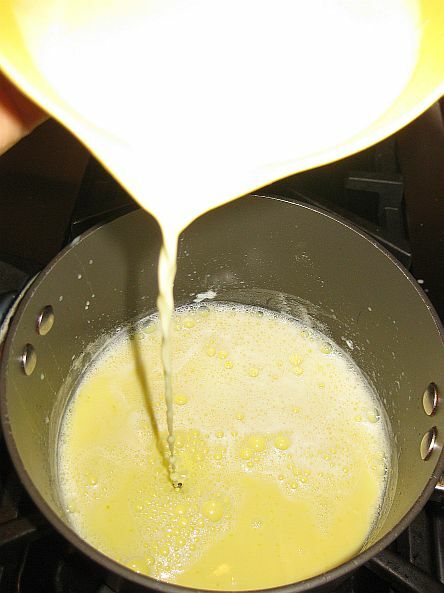 In a separate pan heat 1 1/2 cups of the milk and 4 tablespoons of sugar on medium heat until it comes to a simmer. 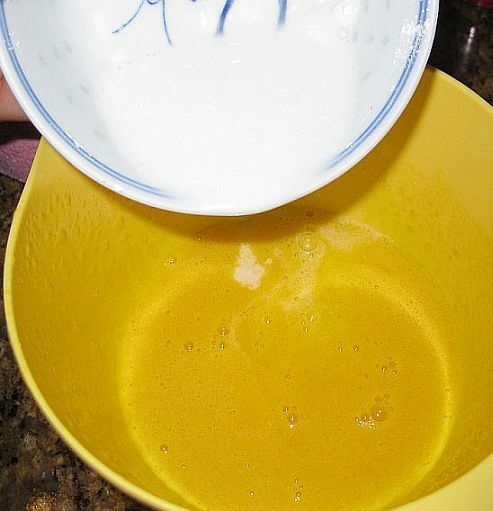 Slowly pour the hot milk into the egg mixture. Keep stirring to prevent the eggs from cooking. 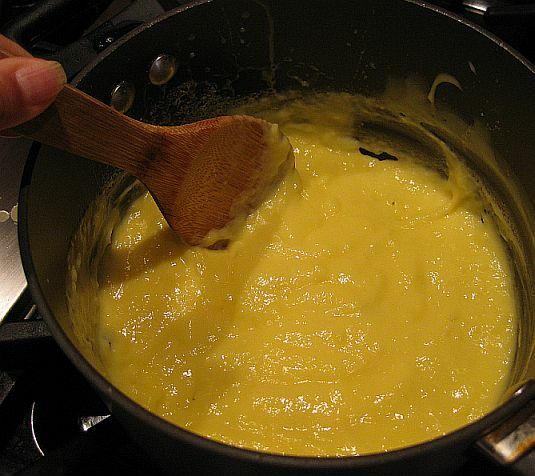 Pour the mixture back into the saucepan and cook over medium heat. 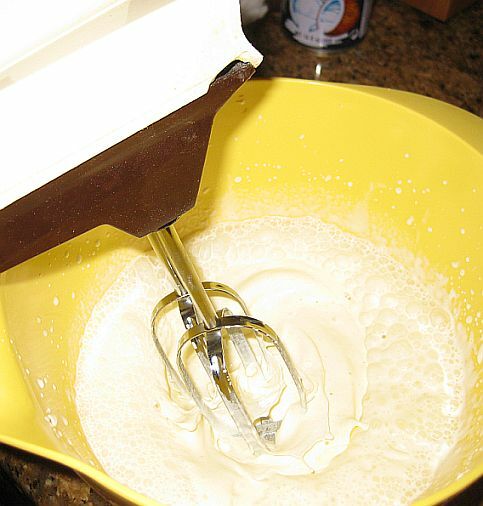 Whisking constantly about 3 to 4 minutes until the mixture thickens into pastry cream. 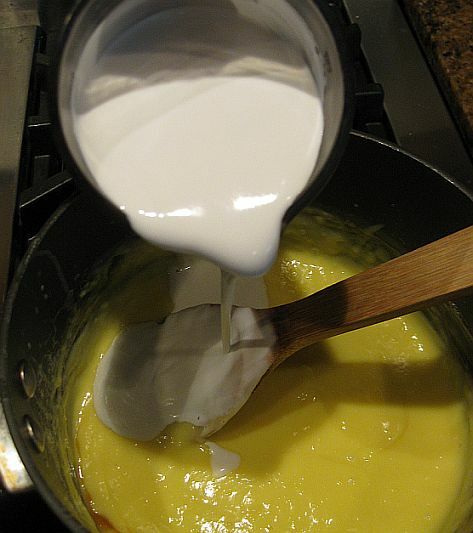 Next coconut milk is added into the pastry cream until combined and smooth and set aside. 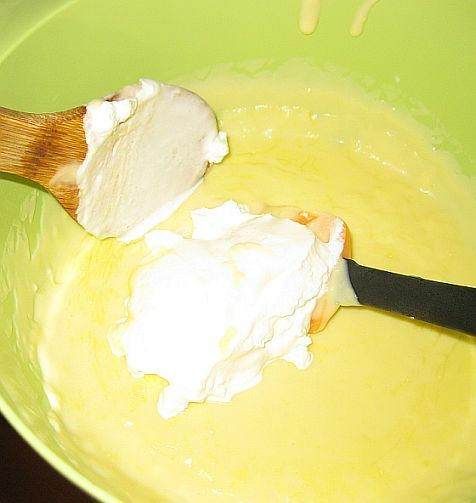 Folding the remaining whipped cream to the pastry cream. 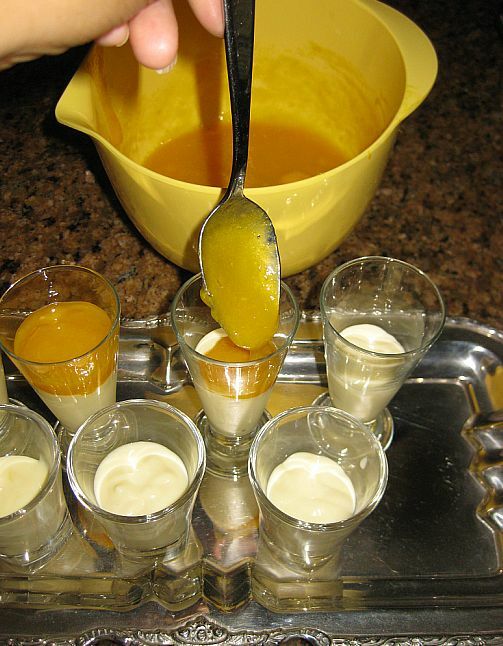 Combine the mango purée and sugar in a small bowl. bloom the gelatin with about 1/4 cup of water, then microwave for about 10 seconds until it is liquid. 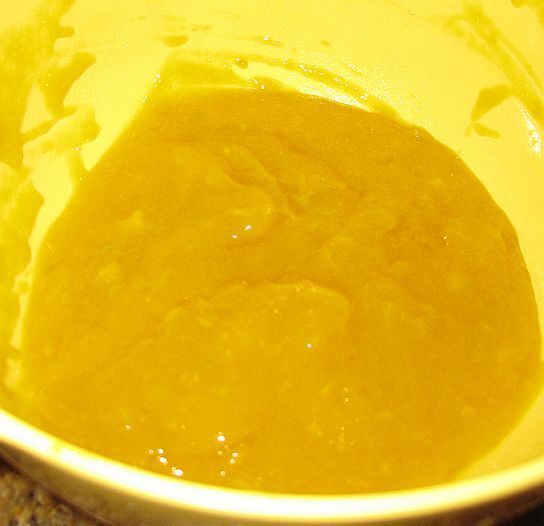 Add liquid gelatin to the mango purée and stir to combine. 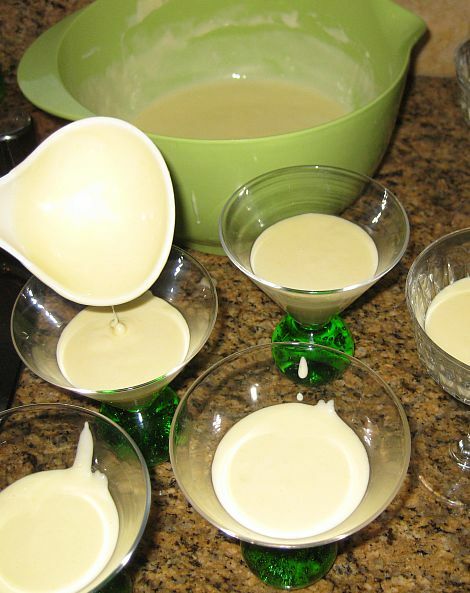 The pastry cream is spooned in cocktail glasses. I made two presentations for this dessert. I used cocktail glass and shot glass so depending on your appetite you can choose which either size. 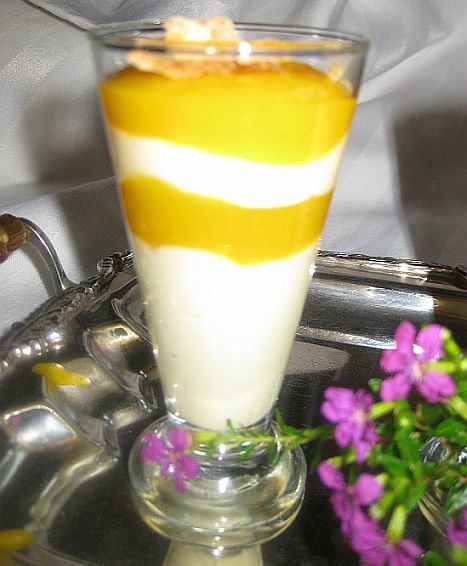 For the shot glass version I alternated 2 layers of pastry cream and 2 layers of mango.